"Schrader, H.-J. 1973 . Cenozoic diatoms from the Northeast Pacific, Leg 18. 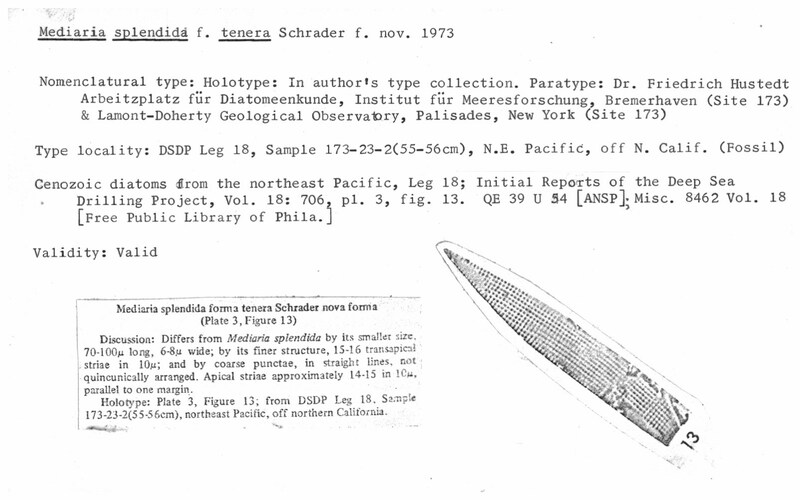 In: Kulm, L.D., von Huene, R., et al., Initial Reports of the Deep Sea Drilling Project, vol. 18. Washington (U.S. Government Printing Office) 18:673-797, pls. 1-26."